When companies within the entertainment & media sectors are seeking top talent, they turn to Sapphire Recruiters. Our winning and proven strategy of successfully attracting and deploying experienced, credible leaders is what fast growing media companies enjoy most about our firm. The entertainment & media industry is a “people business”. To maintain a competitive advantage in this industry, a company must continuously assess its future direction. 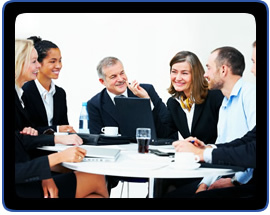 Moreover, it must continuously invest in its most valuable resource……its employees. Companies with a competitive advantage will be those with a consistent approach toward attracting “Rising Stars” to join its senior management ranks. Our value added services are predicated on two fundamental Strengths: Our affiliations & Our process. Both have enabled Sapphire Recruiters to deliver fast and cost effective results to companies with an aim toward expanding and upgrading its talent pool. Search Terms: Social Media Recruitment, Recruitment Agencies, Media Executive Recruiters, .